You know you’re in for a treat when the second word of a book is “roaches”. 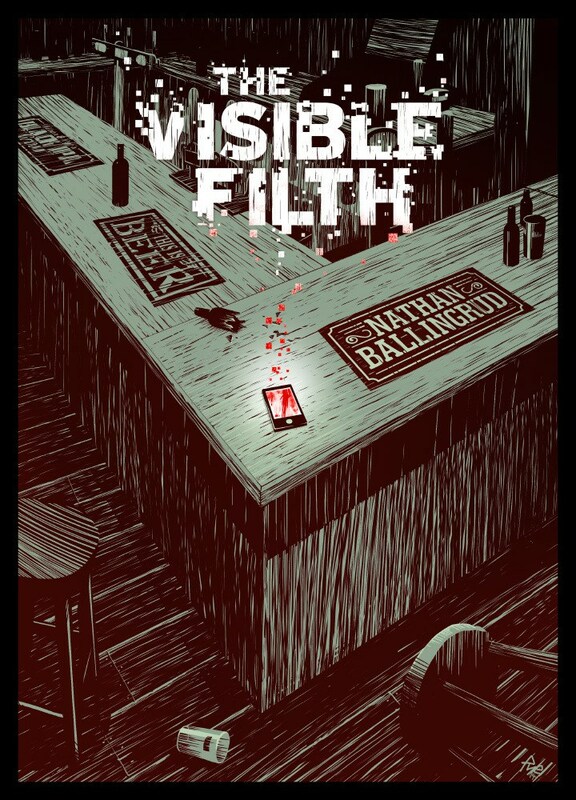 The Visible Filth, a 2015 chapbook published by the U.K.’s This is Horror, was not my first encounter with the unique genius of Nathan Ballingrud. A month or so before I first encountered the novella in December of 2015, I had read his Shirley Jackson Award-winning collection, North American Lake Monsters. And it was deservedly award-winning. The stories hidden between its pages resonated with incredible power: horrifying, but moreover haunting, heart-rending, for their astonishing realism amidst the horrors – not unlike the excellence Scott Nicolay has brought us in his work. “Wild Acre” and “Sunbleached” (the former having slightly stronger impact, the latter being much darker in plot) draw their horror not from the indeed terrifying creatures which inhabit their plots, but from the reactions of our characters to their situations, to their personal issues and the way the monsters reflect those issues, literally painful and gut-punching portraits of realistic people trying to piece their lives back together after traumatic events. “S.S.”, a non-supernatural tale, follows a young man struggling to fit in, finally turning to a white supremacist group for some hope at finding a niche – a white supremacist group more horrifying than the gruesome sadomasochistic rituals the boy’s mother inflicts upon herself. But, as much as I would love to review North American Lake Monsters (which you should buy as soon as you can), that is not the purpose of my current post. I am here to review his second publication, a novella entitled The Visible Filth, as aforesaid. The eerie cover art by Pye Parr hooks you in and you open the book, as if some unknown force is dragging you along. It is a nice, clean, small book, concise in every way, disguising the utter horror of its contents. Truly, design is not appreciated enough, nor is the tender art of book-making itself, so I feel I should take a quick note on the nicely spaced lettering on the crisp white pages, and the smooth dustiness of a paperback cover. The Visible Filth follows Will, a bartender in New Orleans (Ballingrud has lived and worked in New Orleans, and this cannot be clearer during the reading of this book: he paints a very nice picture). Skating carelessly through life, placidity goes out the window when he finds an apparently lost cellphone in the bar following a grisly gang fight. Hoping to give it back to the owner the next night, or report it the cops that occasionally stop by, he takes it home. But that life he’s skated through? The ice has just broken. Ballingrud, who’s always been a master of characterization, really flexes those abilities in the novella. That’s one of the advantages of the form – more room to develop the cast. Ballingrud plays to that, and the strengths of the format are clearly expressed in their fullest potency here. He carefully evolves the characters and their struggles – Will’s strained relationship, his jealousy, his fears and wants. The storyteller captures every part of our protagonist in perfect relief, and, even in the shadowed areas of his character, probes into their personal affairs. And this in-depth characterization of Will has a major impact on the perspective and storytelling. “The roaches were in high spirits”, yes, but nobody is bothered by them – but Will. We feel his fears (though we may not share them), his anger (even if it isn’t always justified), his depression (though he may deserve it). And though the other characters do feel like real people, and though we do empathize with them immensely, we’re seeing the story from Will’s perspective, and we still see them how he sees them. It’s an amazing technique, really getting into the one character, so when the horror starts to come into play, it isn’t just a story. It’s an experience. 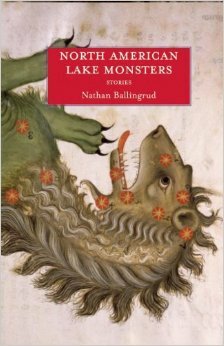 The cover of Ballingrud’s first collection, North American Lake Monsters: Stories. There’s another advantage to the horror novella: atmosphere. This is really the strongest point of the entire story. 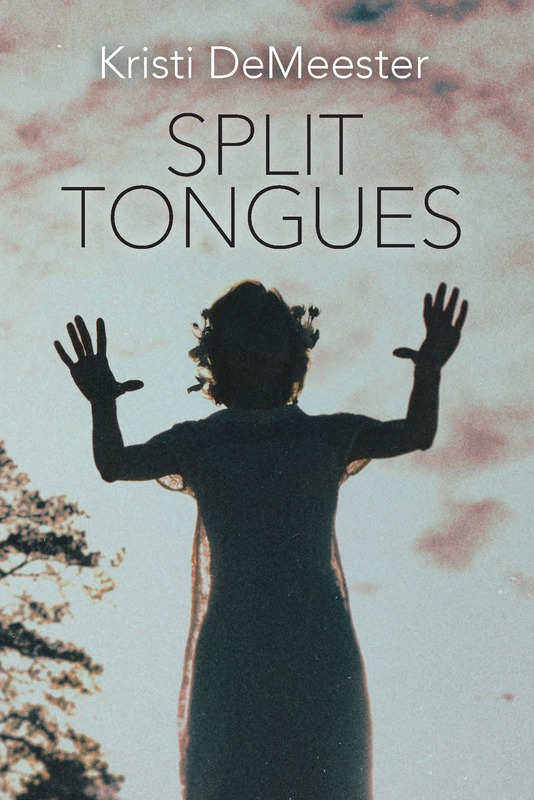 It’s so deliciously oppressive, and will stay with you long after the page is turned – piggybacking you for a long, long time, whispering dreadful things in your ear, warning you not to open the door for fear of what is on the other side. There were times during the reading of this book where I was shaking my head and audibly muttering “No, no, no“, yet I did not put the book down. In fact, I struggled to put the book down. Though the images are haunting, they force you to keep reading, and I can imagine that I – if left unrestrained – would devour the entire book in one sitting. Another peculiar strength of the atmosphere is the form in which it shows up. There are plenty of gruesome images in this book – some of the most disturbing things I’ve ever read in my entire life – but those images weren’t the ones that stayed with me the most. It was the implications, the horror of wondering what’s going to happen next, the delicate suspense. Don’t get me wrong – the more explicitly horrifying scenes did indeed linger with me. But the subtler things were worse. For example (some very slight spoilers in this sentence), it wasn’t the pictures in one scene that scared me the most (ghastly though they were); it was the accompanying text messages. That atmosphere is the vehicle the ultimate horror rides in, and Ballingrud purposely keeps this horror vague, putting up only just enough road signs for the reader to form some obscure opinion of its meaning (not unlike the work of Matthew M. Bartlett). These opinions will inevitably vary from reader to reader, which will certainly make The Visible Filth a ripe topic for discussion amongst horror/weird fanatics. But we won’t be able to come to an answer, and maybe we’re not supposed to. The atmosphere tells its own story, and the horror is veiled thickly behind it, occasionally probing gently into the light. This almost unbearably heavy suspense builds up to a grisly conclusion, something that words like “nasty”, “gruesome”, “vile”, “revolting”, “appalling”, “disgusting”, and “Satan’s morning breath” do not do justice to describe. Even “Sunbleached”, one of the darkest stories I have ever read, dared not tread this far into the realms of gross-out. It’s a strong, shocking conclusion that wraps up The Visible Filth with neither a bang nor a whisper, but the fluttering love sonnets of roaches.